Chronic fatigue symptoms affect many of us on a daily and nightly basis. There are many different causes related to chronic fatigue symptoms. In addition, there are many different types of treatments for chronic fatigue symptoms. This article will not only discuss the chronic fatigue symptoms but also one of the more common causes of chronic fatigue symptoms, stealth infections. Please continue reading to see if you can relieve yourself of chronic fatigue symptoms today. Due to the mysterious stealth nature of these infections, they are often hard to diagnose. By definition, they are not detectable by typical means. Certain viruses and bacteria may be found via highly specialized cultures and assays. However, more often than not, a diagnosis is made via clinical judgment. Experienced and astute physicians on the lookout will be able to piece together the subtle signs and symptoms and come to a definitive most probable cause. It is often a diagnosis by exclusion. Adrenal Fatigue and Chronic Fatigue symptoms often add an extra challenge to diagnosing stealth infections. One stealth virus that may potentially lead to chronic fatigue symptoms is Epstein-Barr virus (EBV). This virus infects about 95 percent of the population. It is part of the herpes family but is typically benign. However, when active, it causes infectious mononucleosis. It has also been associated with Burkitt’s lymphoma and nasopharyngeal carcinoma, two types of cancers. EBV is transferred from person to person via saliva or genital secretions. EBV resides in resting memory B cells and uses a mechanism known as DNA methylation to cloak itself from the immune system. 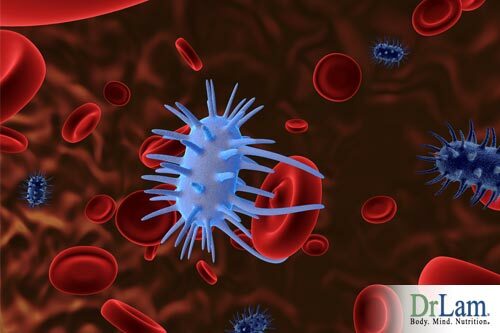 Through this, it is able to proliferate unseen as the B cells react and change with the immune system, allowing for a persistent stealth infection. Infectious mononucleosis, the primary disease EBV presents as is usually seen in teenagers and young adults. They present with mild fever, sore throat, swollen lymph nodes, and fatigue. Fatigue is known to last more than a month in some cases and can go as long as two years. Spleen enlargement and jaundice may be seen sometimes as well. Infectious mononucleosis is diagnosed preliminarily by clinical symptoms as well as a heterophile antibody test, known as the monospot test. It can be confirmed via serological testing. Infectious mononucleosis is self-limiting and treatment against EBV is typically by supportive modalities. Bed rest and avoiding heavy physical activity is recommended until energy levels return to normal. 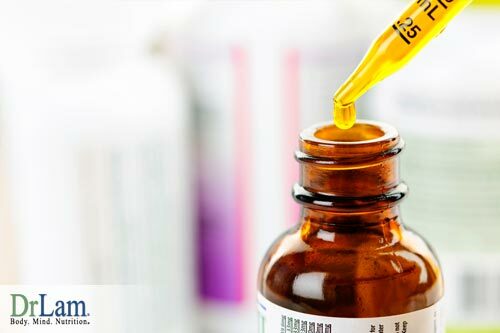 Anti-inflammatory medications may be given to reduce fever and pain, and mild corticosteroids such as prednisone may be used short-term to reduce any swelling and inflammation. Lingering EBV stealth infection has more recently been associated with Chronic Fatigue Syndrome (CFS). Although no clear link has been found between the two, several theories have been suggested. When looking at CFS as an immunologically based disease, it is easy to see that any impairment in the immune system, will allow the latent EBV to reactivate and affect the body by damaging tissues and generating an ongoing immunologic response, and not allow the immune system to recover. Given the strong association between AFS and CFS, it should come as no surprise that EBV should be considered a part of the differential diagnosis for those who present with the fatigue of unknown etiology. All in all, reducing the impacts of Epstein Barr Virus on the body may, in turn, chronic fatigue symptoms. Another stealth virus that may potentially lead to chronic fatigue symptoms is lyme disease. 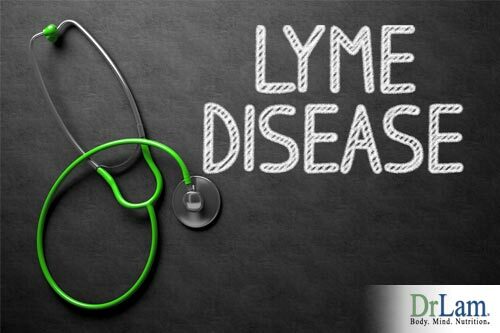 Lyme disease, caused by the bacteria Borrelia burgdorferi, is a vector-borne disease, commonly thought to be transmitted by the Ixodes tick. New research is showing that other insects and humans can transmit it. Most people associate Lyme disease with a bull’s eye rash found at the bite sight. However, this is only found in a minority of cases. Unless caught early, antibiotics rarely eradicate the microorganism completely. Borrelia is a spirochete, a coil like bacteria. Being a coil, it can spring forward easily and thus travel with ease and embed itself in muscles and tendons. Lyme disease can also change into a cell wall deficient form and thus evade detection. Lyme disease is hard to diagnose clinically because laboratory testing is only accurate about half of the time. After having been infected with the spirochete, the bacteria will incubate for a couple weeks before presenting with a localized infection. Early localized infection classically presents as a rash at the site of the bite about 80 percent of the time. It may or may not look like a bull’s eye. Flu-like symptoms may also arise. If left untreated, the spirochete will enter the bloodstream and disseminate throughout the body. Rashes begin appearing all over the body. Other non-specific symptoms such as muscle pain, joint pain, and dizziness are common as well. More severe symptoms may result if the bacteria have invaded the brain or nervous system. Antibiotics are the standard treatment of choice for Lyme disease with a regimen that can last up to four weeks. It may have to be given intravenously if the bacteria has disseminated. However, some patients still complain of fatigue, weakness, and pain even after antibiotic treatment. Due to Borrelia’s ability to change from a spirochete to a cell wall deficient form and back, some bacteria are able to escape the effects of antibiotics and continue to launch a stealth infection on the affected patient that lingers on indefinitely. These patients are often misdiagnosed with chronic fatigue syndrome or fibromyalgia and put on a different set of drugs. The underlying problem, Lyme stealth infection continues to go unnoticed. Reducing the impact of Lyme Disease may reduce the impact of chronic fatigue symptoms on your life. Another stealth virus that may potentially lead to chronic fatigue symptoms is candida. Candida is a microorganism that lives in everybody. It is an opportunistic pathogen that typically affects those that are immune compromised. It is yeast that can change into a fungus when the opportunity arises. Candida is most commonly associated with vaginal yeast infections in women or as skin and nail infections. These superficial infections do not typically have systemic or lasting effects on the body and they are treated easily by medications. However, candida can also exist as a stealth infection. Candida is part of the normal flora found in the intestines. It is kept in check by the other organisms and by the immune system in healthy individuals. When the normal flora becomes unbalanced, candida is given an opportunity to rise up and become a dominant organism in the gut. This can happen due to an overuse of antibiotics, hormonal imbalance, or prolonged physical or emotional stress. Eating an unbalanced diet high in sugar or excessive alcohol intake can also lead to candida overgrowth, as well as overuse of natural progesterone cream. With the proliferation and the right conditions, candida can then change into a fungal form and extend hyphae into the gut, latching on and causing intestinal problems. On top of this, it produces alcohol and acetaldehyde from ingested sugar. The alcohol made has a number of consequences on the body, requiring extra energy and nutrients to break it down. Over time, this will deplete the body of important energy resources, not to mention increase stress as toxin levels rise. This can lead to a number of symptoms such as fatigue, difficulty concentrating, diarrhea, constipation, and weakness. Candida infections have also been shown to increase allergies. Acetaldehyde is the compound that is responsible for many hangover symptoms. Imagine that your body is constantly producing this chemical and the effects it can have. These toxins are continuously being produced and released into the body by candida and can be happening in the body without the patient ever knowing about it. Candida can be tested for in your stool sample, but only an experienced physician would be able to trace the symptoms to your gut, and even then probably only by ruling out other causes. Reducing candida may also reduce your chronic fatigue symptoms. Remember always that one can live very well with Candida as long as the body’s immune system is strong and stable. Therefore not all systemic Candida needs to be eradicated aggressively. Over zealous treatment of systemic Candida without careful consideration of the body’s overall immune state can worsen the condition. As such, recovery approaches from stealth infection need to proceed systematically and slowly for best results. It is a long and arduous journey. Patience is required to make sure the adrenals and liver are sufficiently fortified ahead of time to withstand retoxification reaction as condition precedent. Multiple systems in the body must be properly balanced and reinforced to ensure that the body will be able to handle the increased stress from toxic release and die-off reaction before embarking on a battle actively fighting off stealth infection. The capacity to limit stealth infection damage is governed by our body’s internal immune system, which draws on our nutritional reserve for its energy as building blocks. Those who are weak constitutionally or those who failed to properly replenish and strengthen their nutritional reserves needed to fight stealth infection will eventually succumb to the toxic load over time. This form of slow death is how stealth infection wins the battle. That is why proper nutritional therapeutics should be at the forefront of any comprehensive effort towards overcoming stealth infection. A lot of patience is required because this process needs to be deliberate and meticulously slow. This is to avoid any backfires or side effects that can be brought on by the improper or overly aggressive use of nutrients in a weak body that is already under attack. The best nutrients can turn toxic in this type of environment. Building a nutritional safety net without straining the body’s already low reserve is an art rather than a science because everybody’s reaction at each step of the way can be very different as the body reacts differently with each tug of war. Laboratory tests usually provide little guidance. Extensive clinical experience remains the key to success. Without experienced guidance, most self-navigation programs fail as a result. As mentioned before, the best approach to beating stealth infection is a step by step process of first stabilizing and strengthening the body and the adrenal glands, and then dealing with the infection. 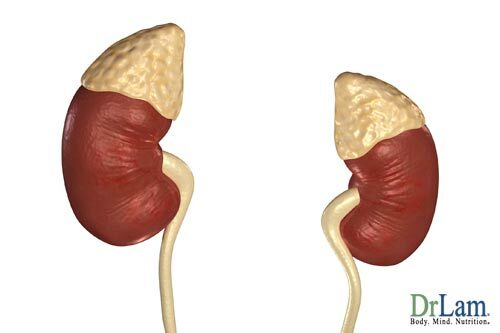 The adrenal glands play an important part in maintaining the homeostasis of the body. If they are not capable of performing their job in terms of putting out the necessary anti-inflammatory hormones to stabilize the body, then any attempt at attacking stealth infection in the body will only backfire. Depending on the level of adrenal weakness, adrenal recovery can be a total body commitment. From special adrenal breathing exercises to diet and supplementation, recovery must always focus on adrenal weakness as a top priority. Only when the proper defenses have been set up and nutritional reserves built, can an attack be launched on stealth infection with any hope of eradicating them effectively without recurrence. Without this systematic approach, stealth infection may resurge after an initial reduction as they retreat into closed quarters, worsening the overall condition and triggering adrenal crashes. No matter how good the attack strategy is in theory, a body with adrenal fatigue will not be able to successfully win the war in reality. Inadequate consideration of this clinical pearl is a leading cause of recovery failure. Fortunately, the correct way to effectively build the immune system from within is known. Your immune system is your first and last line of defense. From antimicrobial peptides produced in your skin to the antibodies found in your blood, the immune system is an integral part of staving off the never-ending onslaught of bacteria and viruses encountered on a daily basis. One of the best methods in helping your immune system is to quickly eliminate toxins secreted by pathogens from your body. Toxins slow the body down and take attention away from more pertinent issues such as fighting an infection. The body has to expend extra energy to remove toxins leaving it with less means to deal with the stealth infection spread throughout the body. One of the best ways to help the body clear toxins is to fortify the liver. The liver can be thought of as the waste treatment plant of the body among its other roles. Strengthening the liver and protecting it are keys to boosting the detoxification process. Administering key liver enhancing nutrients such as glutathione is extremely helpful. Fermented milk thistle also contains compounds known as flavonoids that help with detoxification and is hepatoprotective. It must be noted that overly aggressive detoxification can be detrimental as it can flood the body and cause a retoxification effect. The key to success rests with the proper dosage, delivery system and timing. More is not necessarily better. If the body is weak, aggressive liver support can backfire and burden the body even more due to excessive metabolites from supplementation breakdown. Always consult an experienced clinician to design the best nutritional cocktail timed to match the body’s condition for best results. 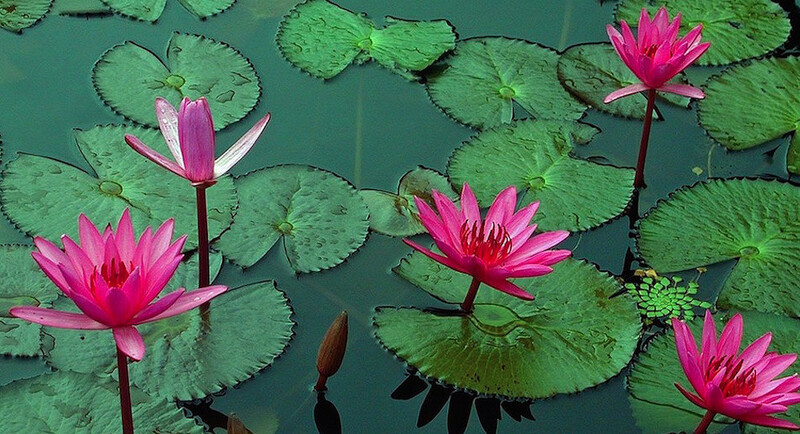 Support of the immune system is also augmented via a variety of lifestyle driven techniques such as stress reduction, yoga, acupuncture, positive psychology and good sleep. A strengthened immune system cannot be measured via laboratory readings with ease but is instead judged from a clinical standpoint. Chronic symptoms such as fatigue or cognitive impairment will typically get better, albeit not disappear completely over time. Reduced toxin load means reduced immune system burden. Fish oil can and should be given conjunctively while detoxing as it helps the body deal with any inflammation that will naturally occur with detoxification as well as any ongoing inflammation caused by stealth infection. Dosages range from 3-5 grams of DHA/EPA combined. Antiviral herbs are a good safe jumping off point in the fight against stealth infection. Examples of these include Echinacea purpurea, goldenseal root, olive leaf, and Cat’s claw. Garlic, and cilantro may also be considered. 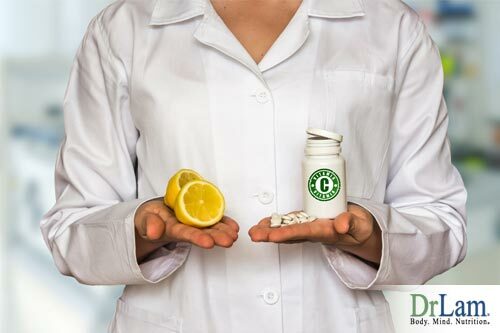 Vitamin C in various forms is an antiviral and an essential nutrient required in our diet. It is a key immune booster as well. Supplementation with the right dosage and delivery system is key to proper use of this vitamin. Dosage varies from 3-10 grams or more per day. Vitamin D is antiviral and antibacterial as well. Unlike vitamin C, vitamin D is produced in the body when exposed to sunlight. However, due to modern day conditions decreasing our exposure to the sun, virtually everybody is deficient in vitamin D. The remedy to this solution is to obviously increase sunlight exposure either directly or by purchasing ultraviolet lamps and supplementing the diet with vitamin D. Dosage varies from 5,000-50,000 IU or more per day depending on status. A blend of herbs and amino acid including black walnut, clove, wormwood, garlic, parsley, goldenseal, cayenne, methionine, and cycsteine can be considered to cleanse the body of metabolic waste build-up by infectious organisms. Once the body’s toxic load is reduced and the immune system has stabilized and strengthened with liver and adrenal gland fortifications, focus can then and only then be shifted towards aggressively clearing the stealth infection using a variety of techniques from medications to natural cleanses, flushes, enemas, heat therapy, ultraviolet light, hydrogen peroxide and many more. Any premature attempt to do so often produces unfavorable results instead and leads to retoxification reaction. We are in a new era of drug-resistant bacteria running rampant caused by decades of indiscriminate use of antibiotics. New infectious states, such as stealth infection, are now closely associated with multiple other conditions, including chronic fatigue syndrome and fibromyalgia. of theses stealth viruses treating them may help you to reduce your chronic fatigue symptoms. That being said, if you have been diagnosed with chronic fatigue, you may want to be evaluated for stealth virus in an effort to focus on the root cause and reduce your chronic fatigue symptoms. If you are suffering from any It can mimic many symptoms commonly seen in Adrenal Fatigue Syndrome. Laboratory tests are usually not helpful. 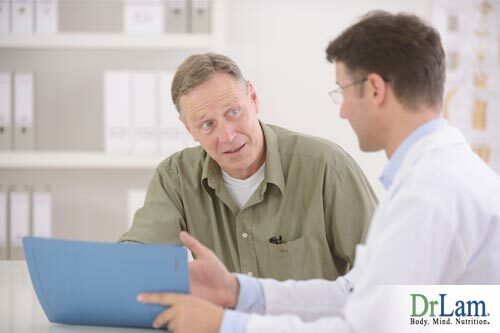 Diagnosis is best by history conducted by an astute physician on the lookout for and experienced in subclinical conditions. Recovery is a slow process in order to affect positive long-term results. Fortification of the adrenal glands and liver should be the primary focus until such time the body is strong before launching an aggressive attack on the infectious organism to prevent backlash and worsening of the symptoms. Recovery is best approached by stimulating the body’s self-defenses with natural compounds. 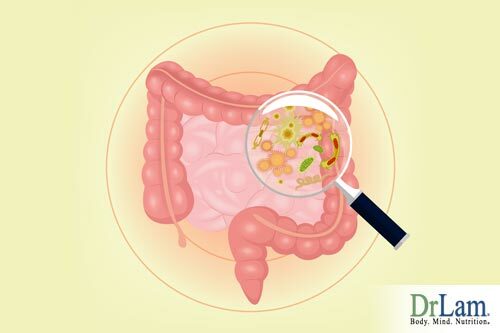 Supplements such as probiotics, vitamins, digestive enzymes, immune boosters, and herbal antibiotics are helpful. Detoxification and adrenal support should be a mandatory part of the overall recovery plan to support the body, which is usually overwhelmed by such infections at a subclinical basis. © Copyright 2014 Michael Lam, M.D. This entry was posted in Uncategorized on November 14, 2017 by The Health Coach.